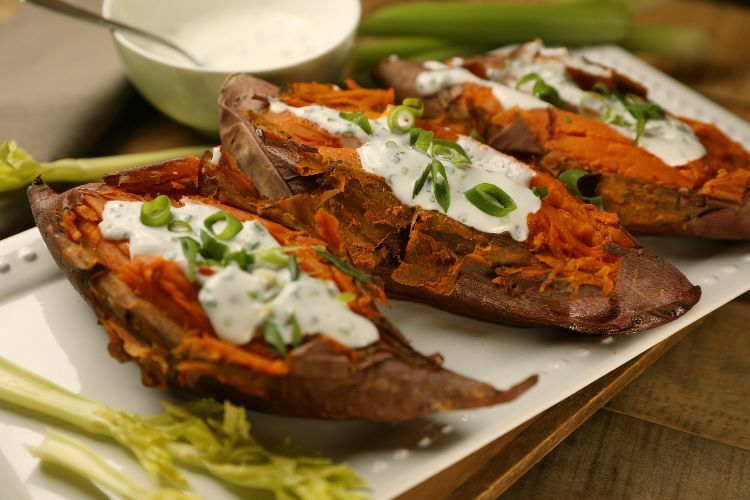 Sweet potatoes are extremely beneficial to your health. They're an excellent source of vitamin C, high in vitamin B6 and vitamin D, and packed with iron, magnesium and potassium. 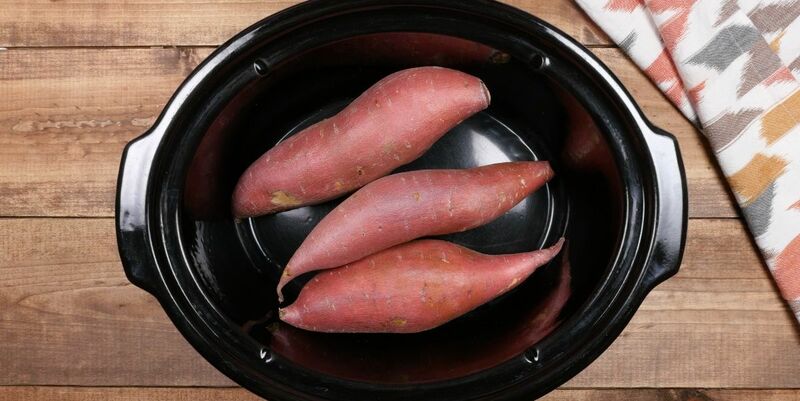 In the recipe below we keep it super simple and allow the sweet potatoes to slowly cook in their own skin. You can cook a couble batch and keep them in the fridge to eat throughout the week. They are great after a nice workout or a long run. The recipe calls for no additional salt or oil: Simply pop them in a slow cooker after washing the skins, cover and let them do their thing. You can add salt or brown sugar after cooking but they are delicious as is. To turn their natural sweetness in a savory direction, mix in a little olive oil, salt and pepper and perhaps minced garlic right after they're cooked. Wash sweet potatoes under cool running water and pat dry. Place into a 6-quart slow cooker and cook on high for 4 hours or on low for 8 hours. Carefully remove potatoes from slow cooker. Break open skin and spoon out the flesh. Eat them as is or mash in brown sugar for extra sweetness or olive oil, salt and pepper and a little minced garlic for something savory. Pro tip: Add 1/2 cup greek yogurt, 1/4 cup mayonnaise, 1 tbsp chives and black pepper to taste.